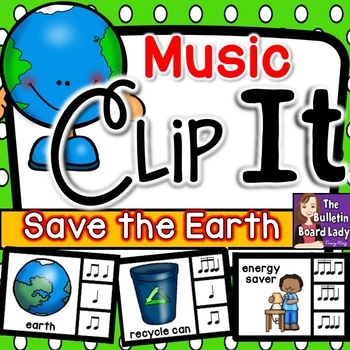 Clip to it! 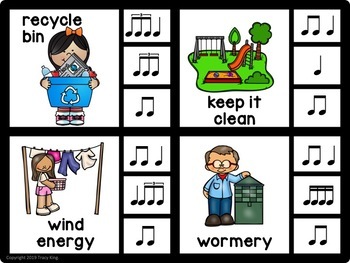 In this clothespin activity students are asked to clip the rhythm that matches the syllables in each picture. 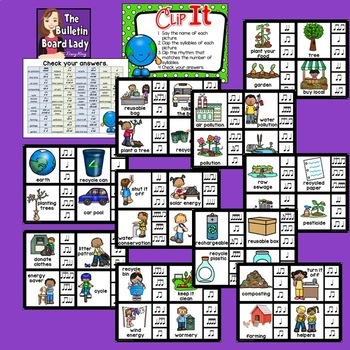 This activity works great in centers or small groups. Before placing them in a workstation, you should plan a little bit of time to print the cards on cardstock, cut and laminate them for maximum durability. 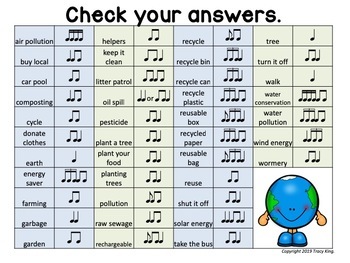 Included in this download are 40 save the earth themed rhythm cards, an instruction sheet for posting at a workstation and a chart with all of the answers that students can use for self-checking. Rhythms include quarter note, barred eighth notes and quarter rest. Add clothespins and you are ready for an engaging learning station!